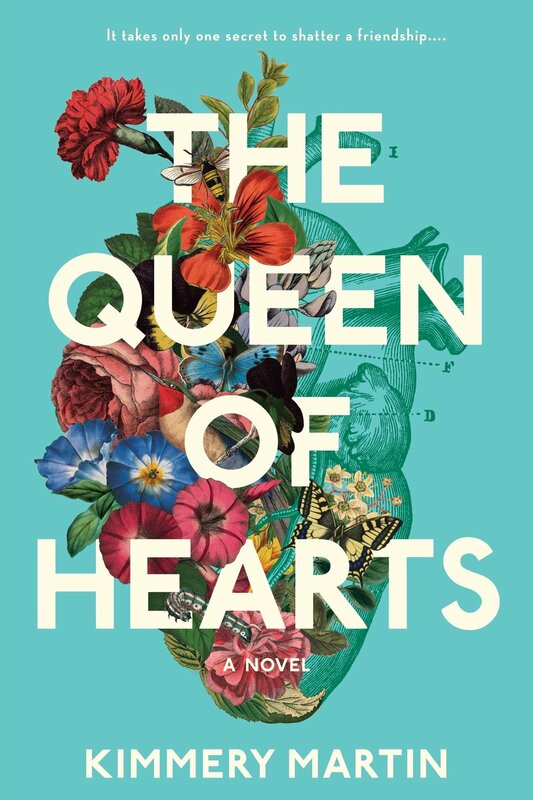 When THE QUEEN OF HEARTS first came out, I was drawn to this smart, honest, and dramatic look into a friendship of two women. From the elegantly written prose to the overall story, this is one you don’t want to miss. Now, to celebrate the paperback release (February 5th), I am re-posting my initial ☕☕☕☕☕ review. When I first heard about THE QUEEN OF HEARTS, I will admit I was instantly intrigued. Who wouldn’t want to read a book about long-time friends who have shared their lives and their professional passion since their twenties combined with past secrets and tragedy? However, the book that I got was even better than I could have imagined. The author brings an eloquence and unabashedly honest depiction to her characters. There is no glossing over the real moments in these two women’s lives. The more I got to know about Zadie and Emma through their cringeworthy, heartbreaking, and witty moments the more I invested in their story. Truly, Martin managed to weave together a narrative that was nothing short of entertaining. It had all the juicy fun bits, but was still able to explore how one must heal after finding out a long hidden secret and learn to forgive. THE QUEEN OF HEARTS is a story about friendship, mistakes, and forgiveness. It is a stunning debut and I have no doubt we will be seeing more from the author soon. PS. Zadie’s youngest daughter is the star of this book for me. She adds light and humorous moments that are simply perfection. Zadie Anson and Emma Colley have been best friends since their early twenties, when they first began navigating serious romantic relationships amid the intensity of medical school. Now they're happily married wives and mothers with successful careers--Zadie as a pediatric cardiologist and Emma as a trauma surgeon. Their lives in Charlotte, North Carolina are chaotic but fulfilling, until the return of a former colleague unearths a secret one of them has been harboring for years.